The Great Barrier Reef offers amazing underwater experiences but what many people don’t realise is that the view from above is equally sensational. Add a scenic flight to your itinerary and you’ll get a whole new appreciation for the scale of this incredible ecosystem, the only living organism visible from outer space. You can choose between a flight on a helicopter or a fixed-wing aircraft with departure points in Cairns and Port Douglas. With heli pads located at numerous sites on the Great Barrier Reef, combining your snorkelling tour with a scenic heli flight just got a whole bunch easier. Opt for a full-day adventure packed with highlights. Explore one of the reef’s remote islands in the morning, then touch down on a pontoon in the afternoon to enjoy some snorkelling action. If you’re in the mood for romance, choose a flight that includes breakfast for two on a secluded coral cay. Looking to make the most of the experience? You can even add a touch of rainforest to the experience. Some tours will take you high above the mainland, giving you a bird’s-eye view of the dense forest that spreads across rugged mountains and verdant valleys. Ask your pilot to point out the area’s highlights, such as waterfalls that cascade over sheer cliff edges. 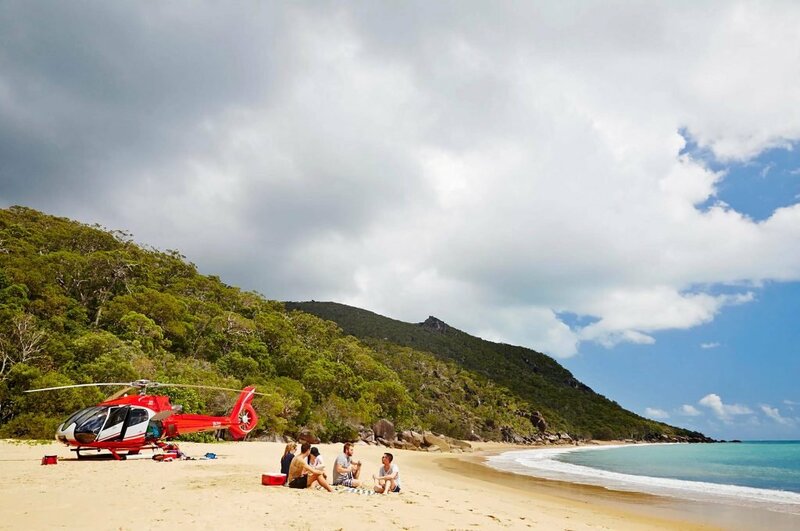 Or explore Queensland’s northernmost point, Cape York, on a scenic flight from Cairns that not only features all the landmarks of the final frontier but also over Lizard Island, the Daintree River, Cooktown and Lakefield National Park. Take to the air to see the Great Barrier Reef in a whole new light.